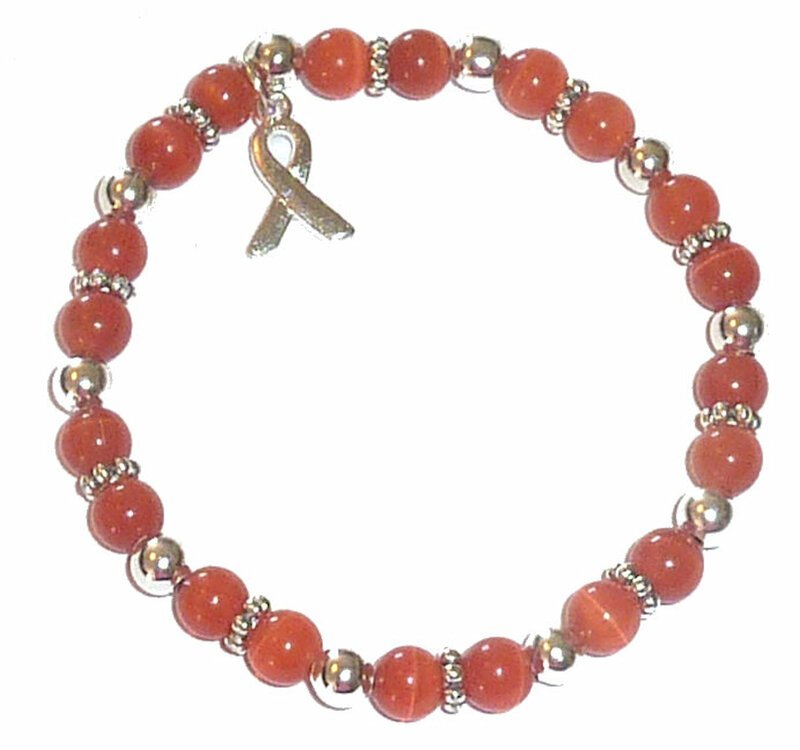 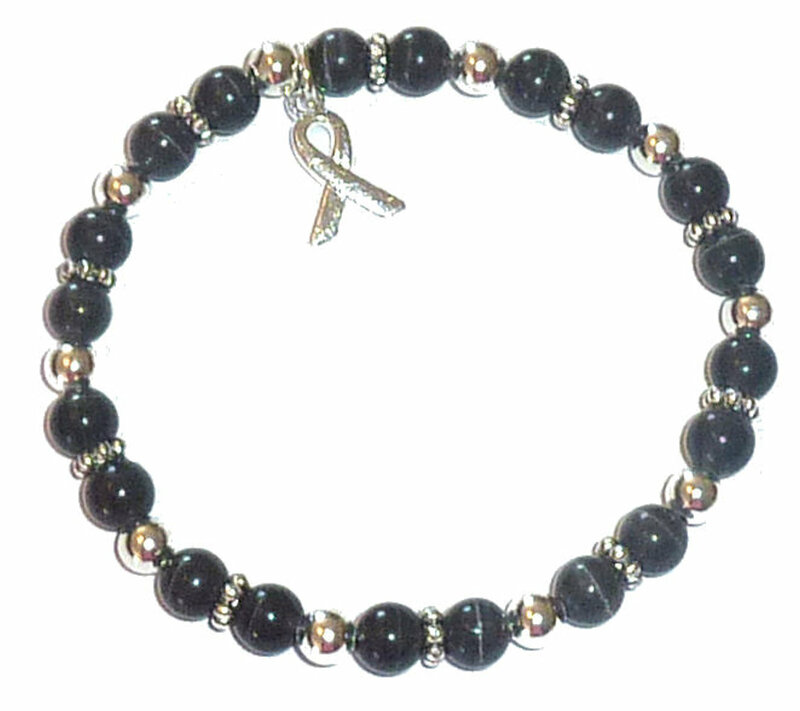 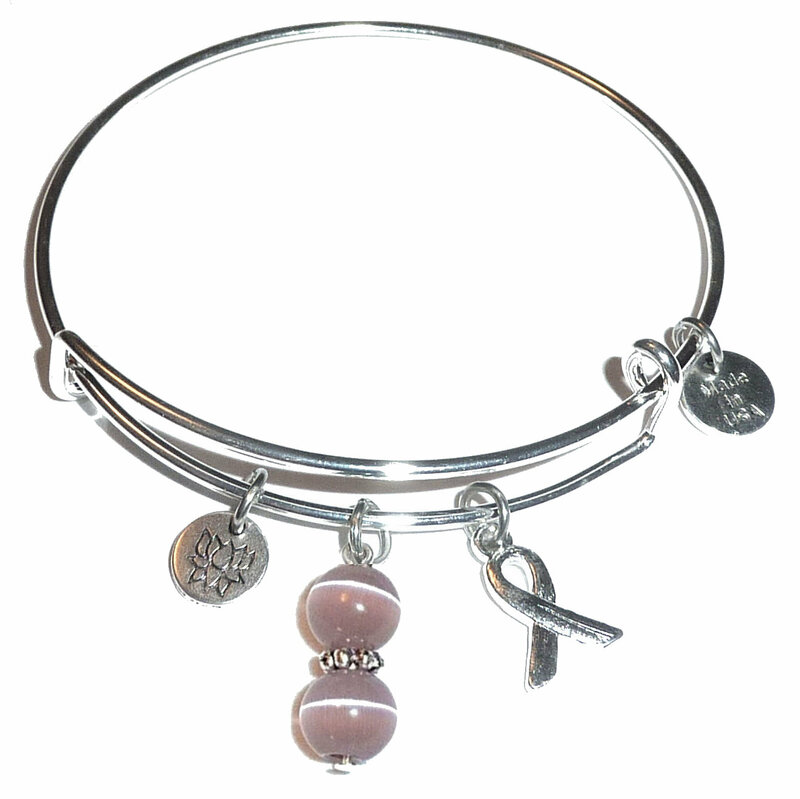 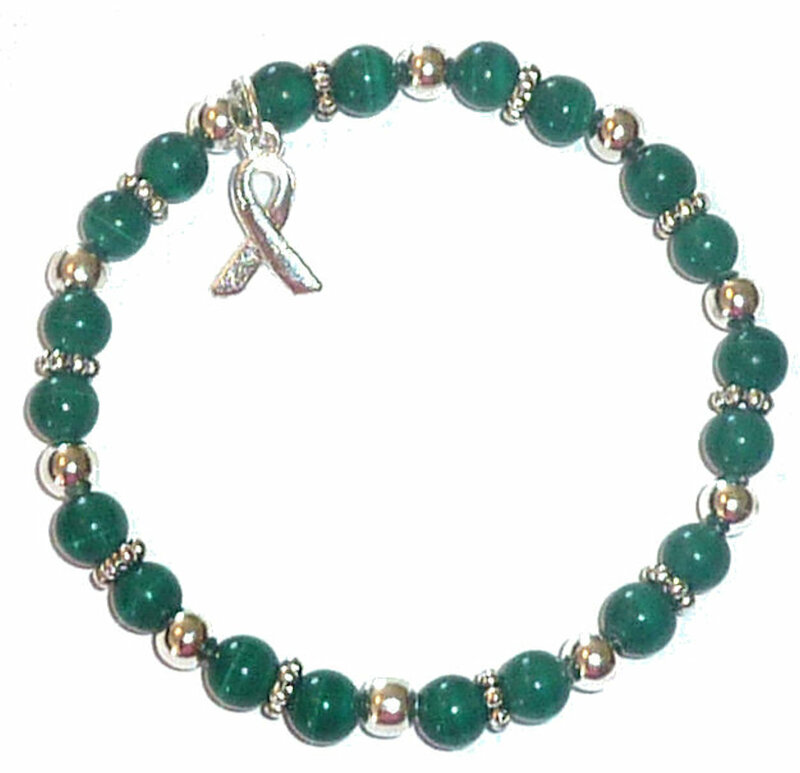 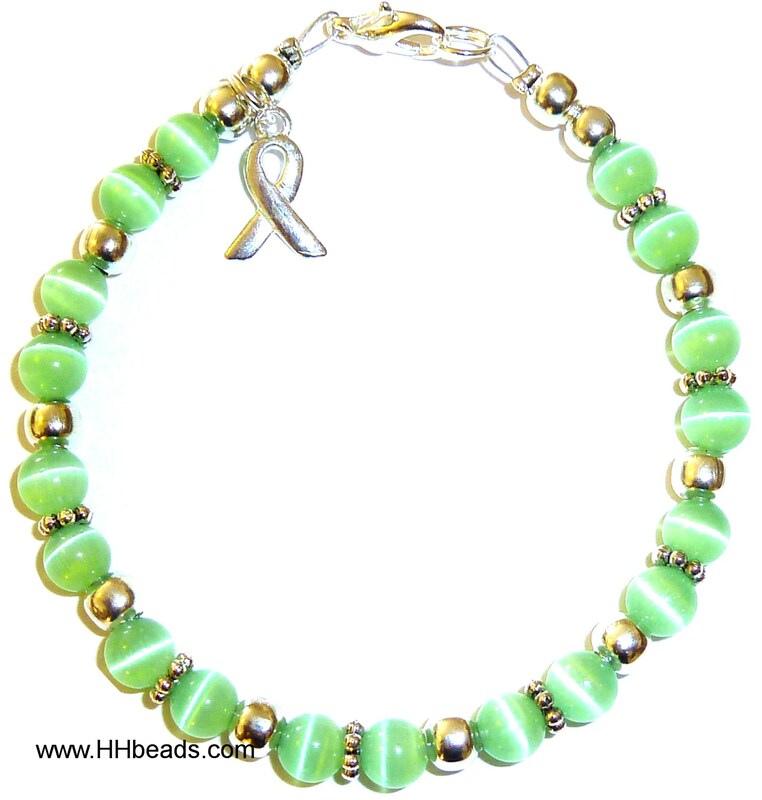 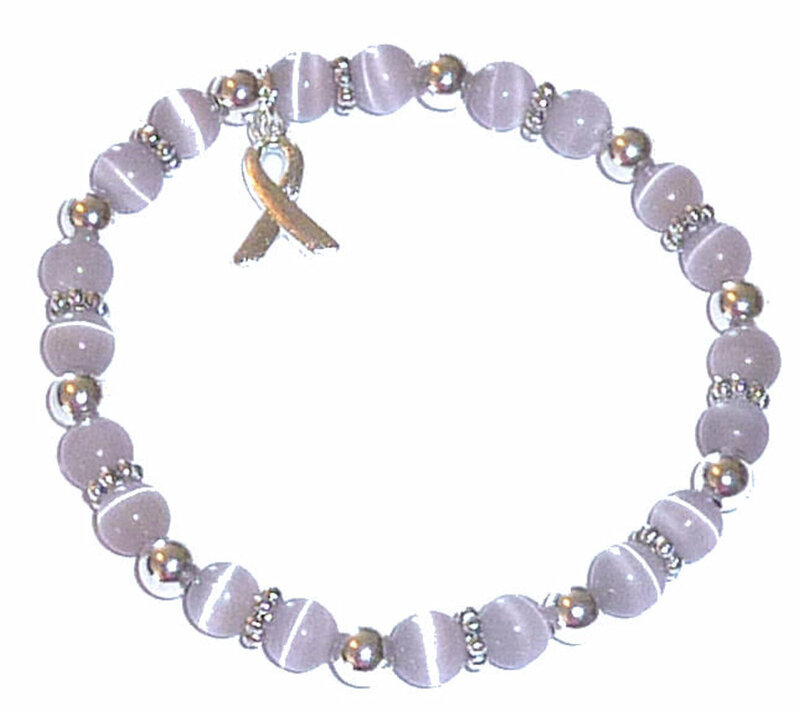 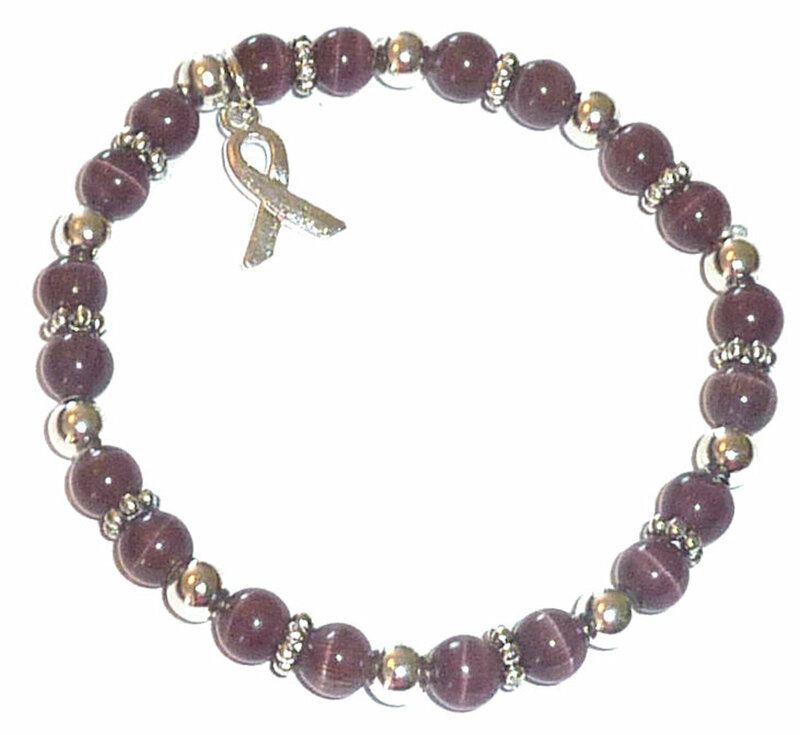 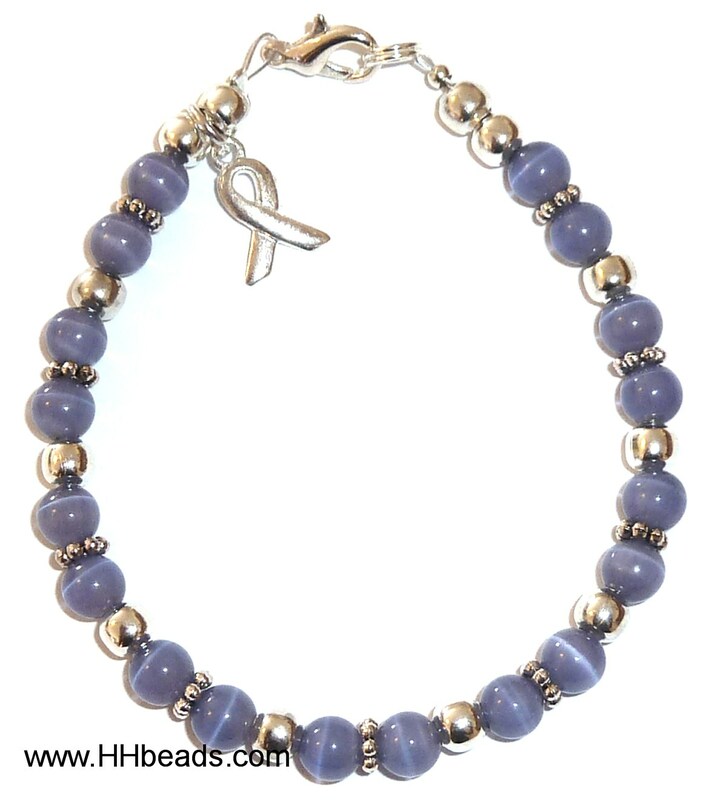 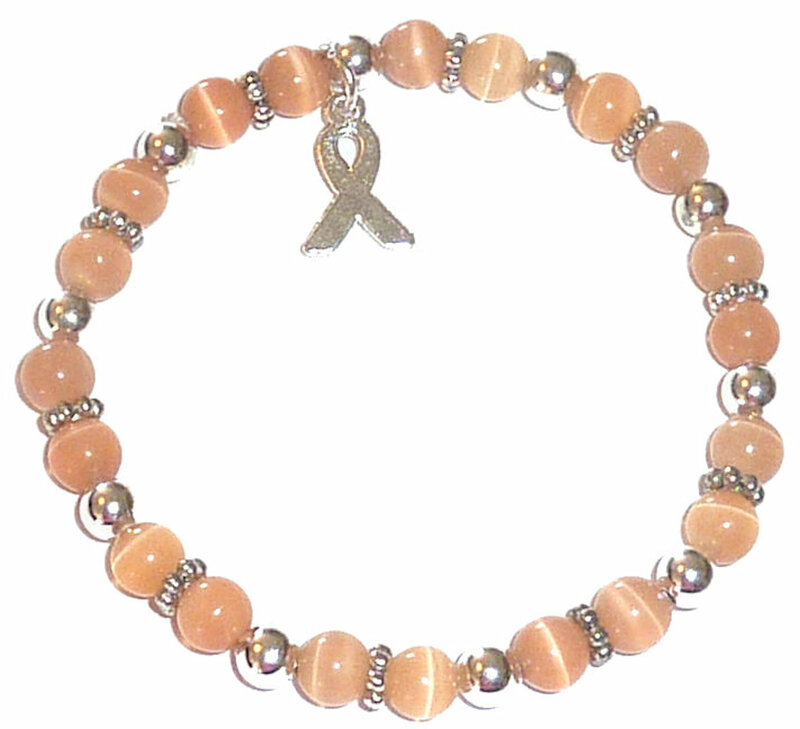 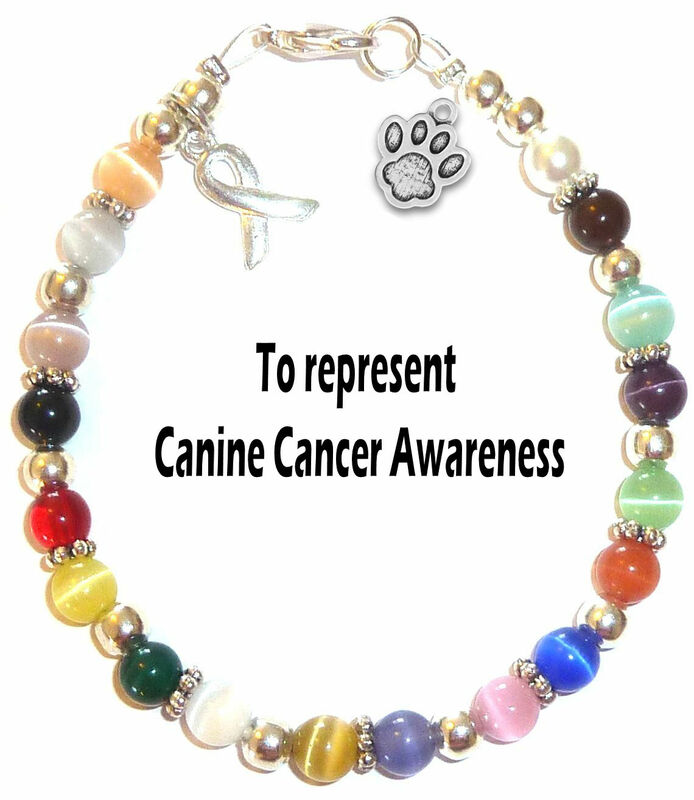 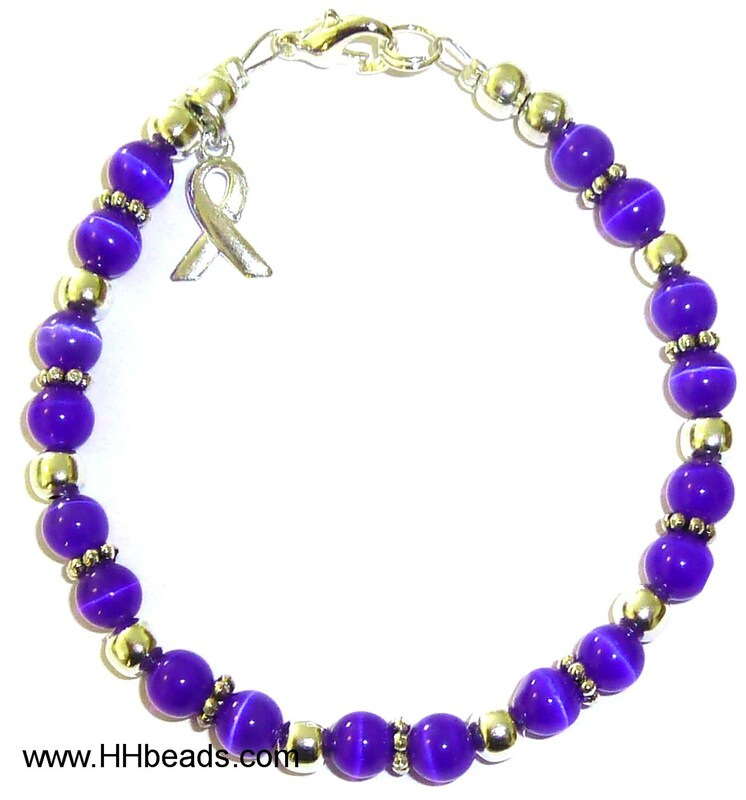 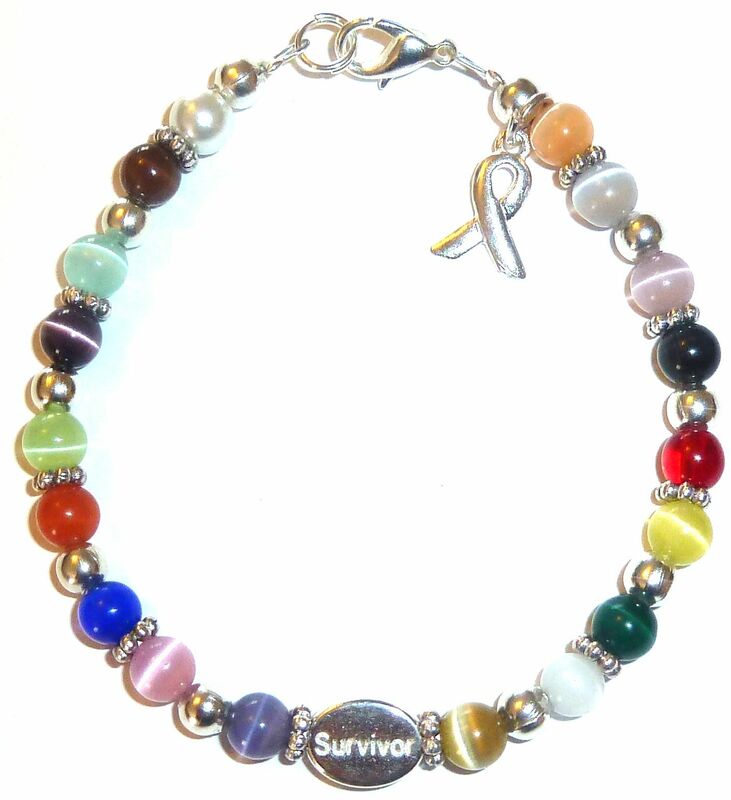 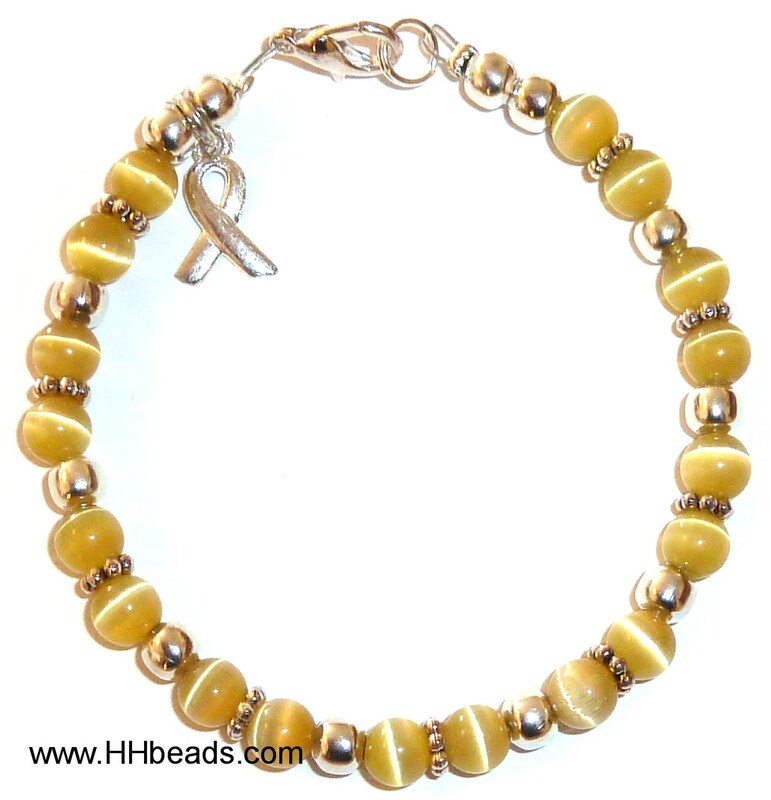 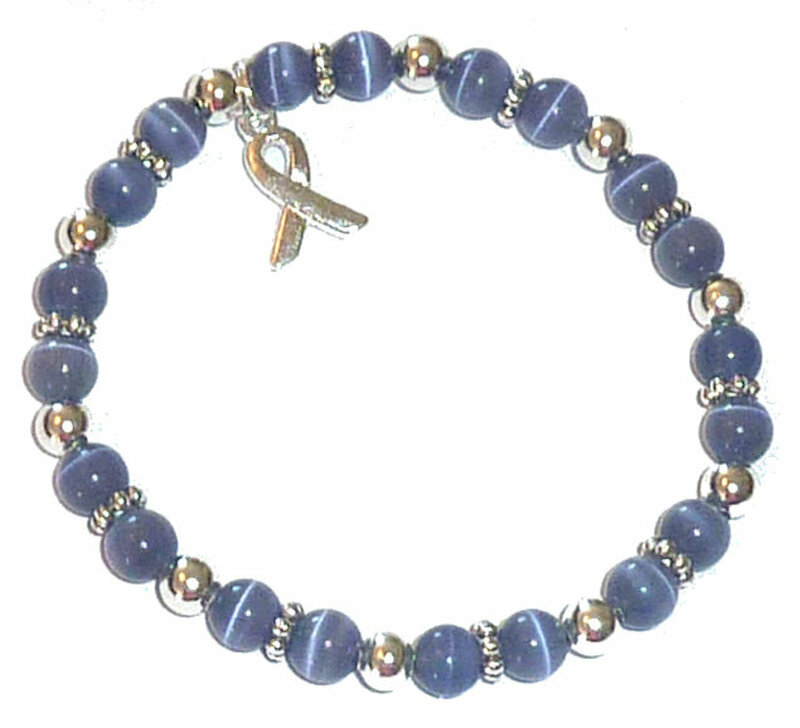 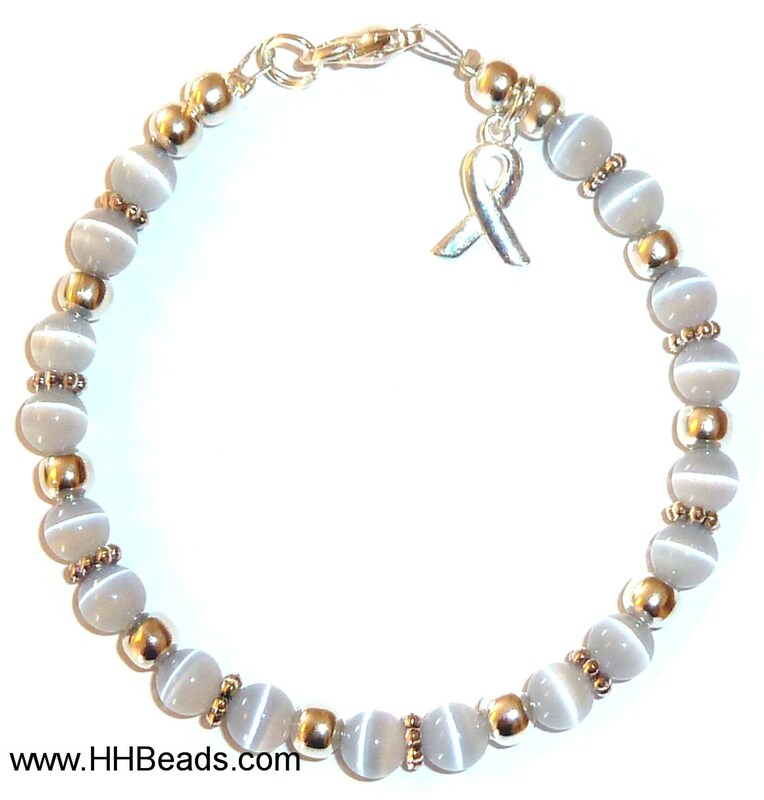 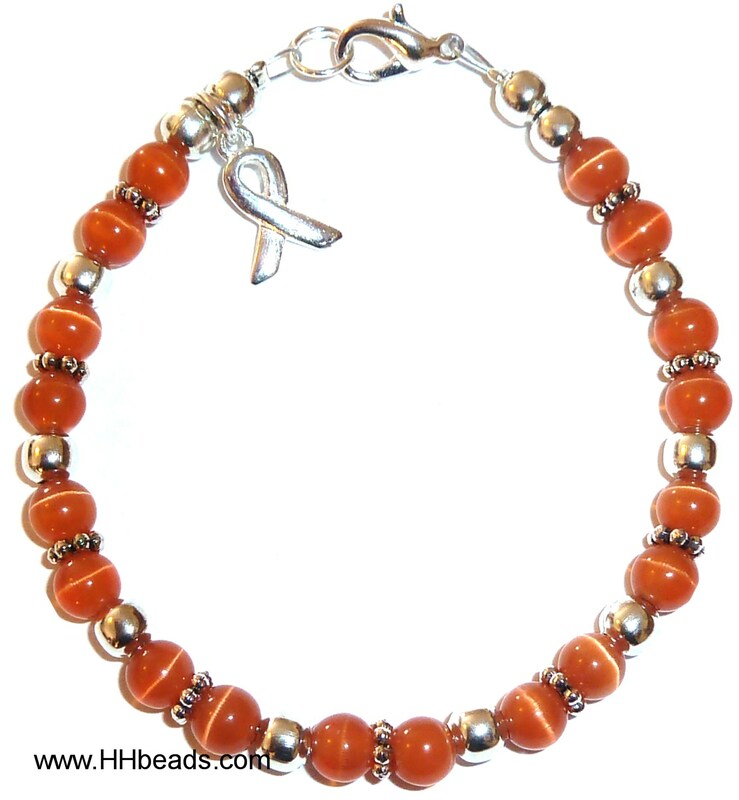 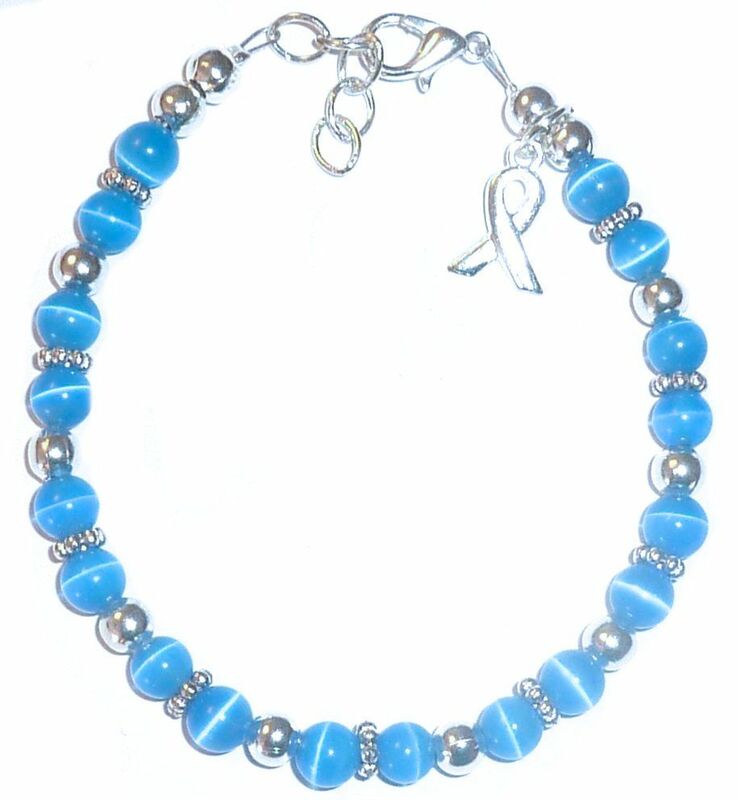 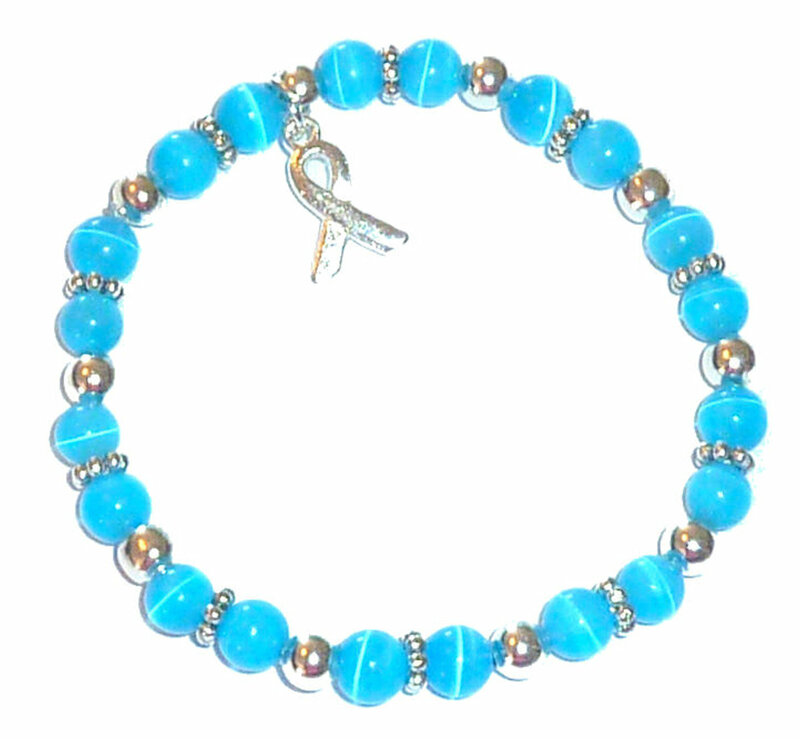 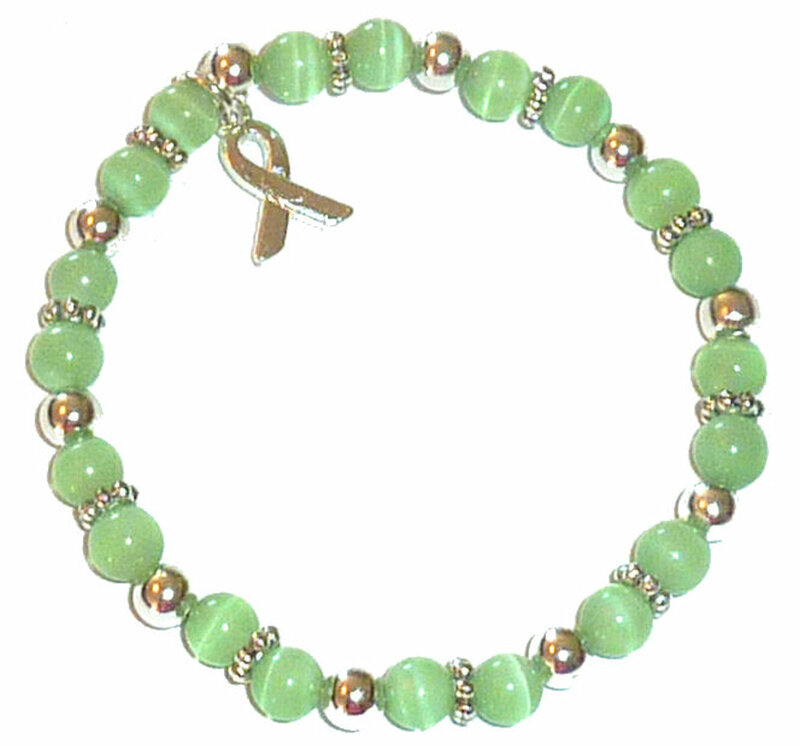 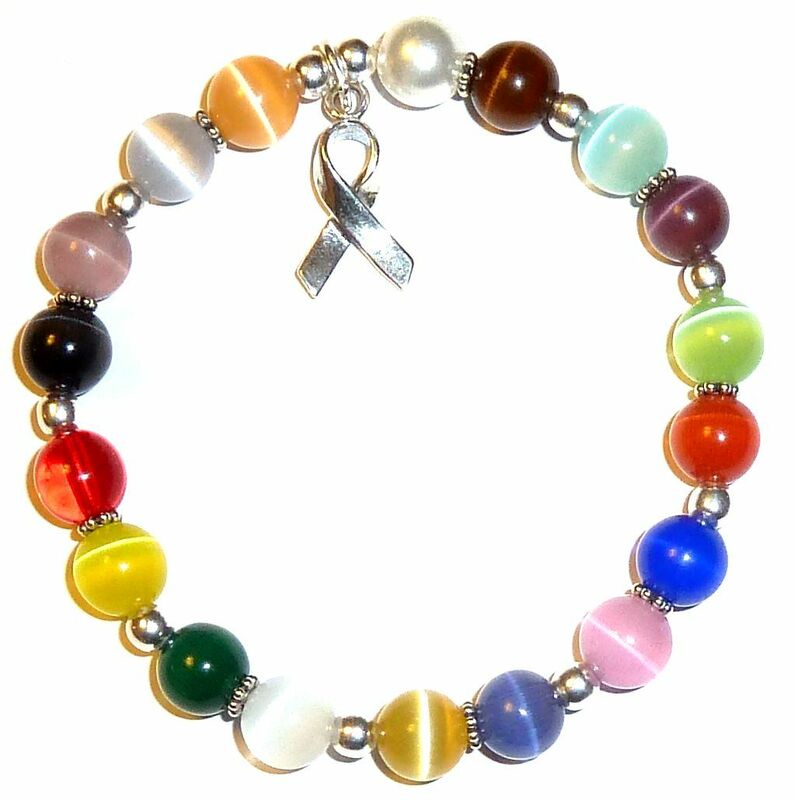 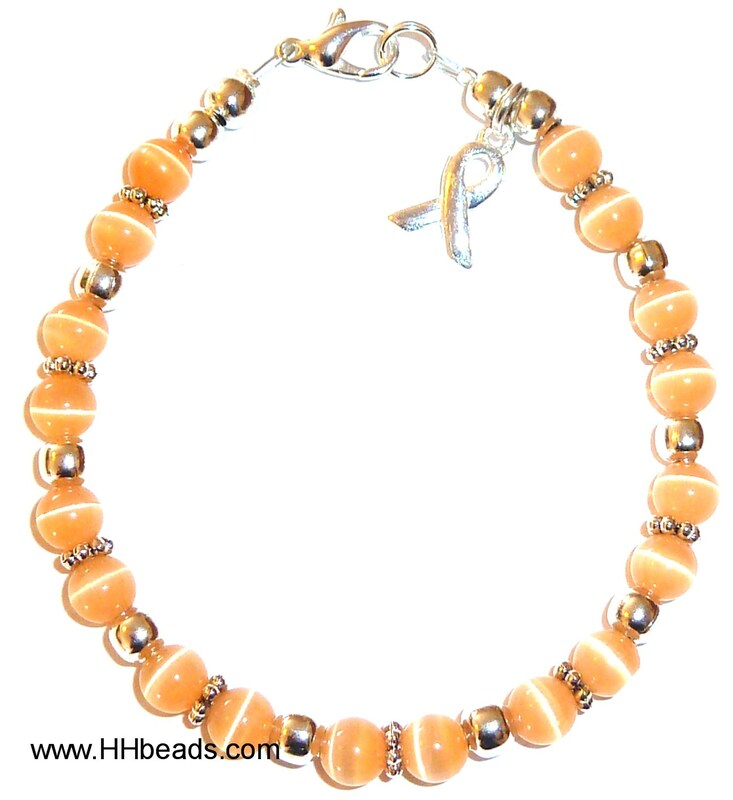 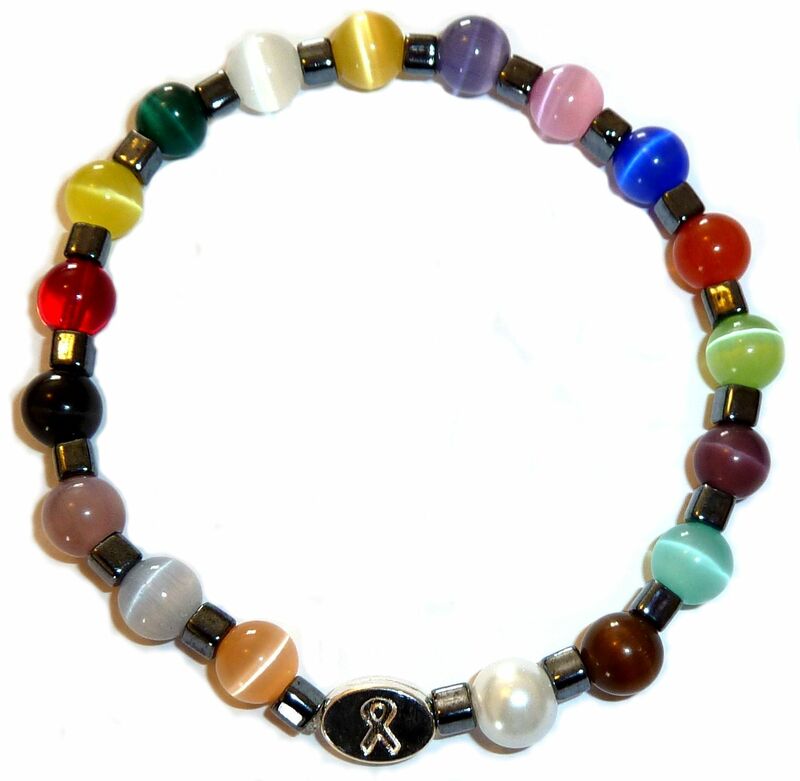 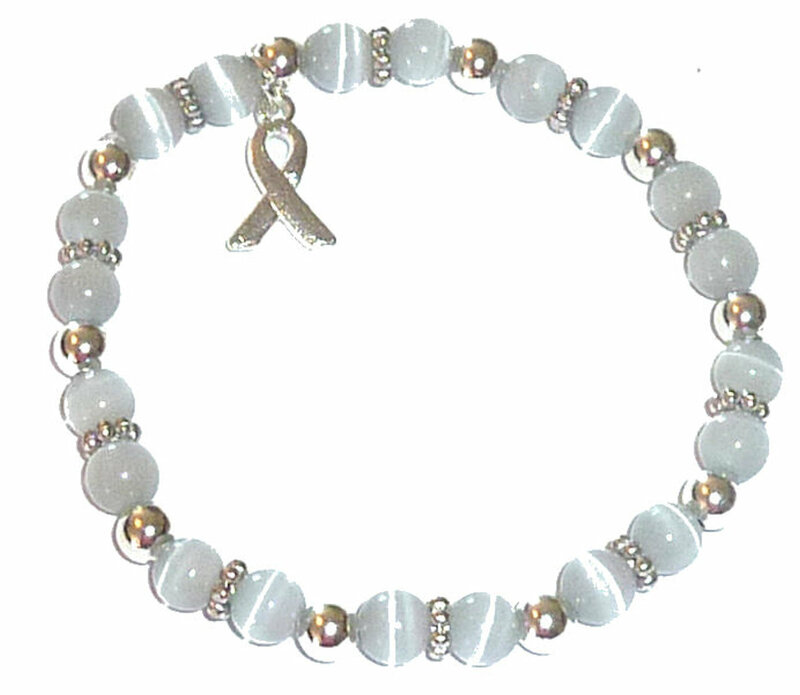 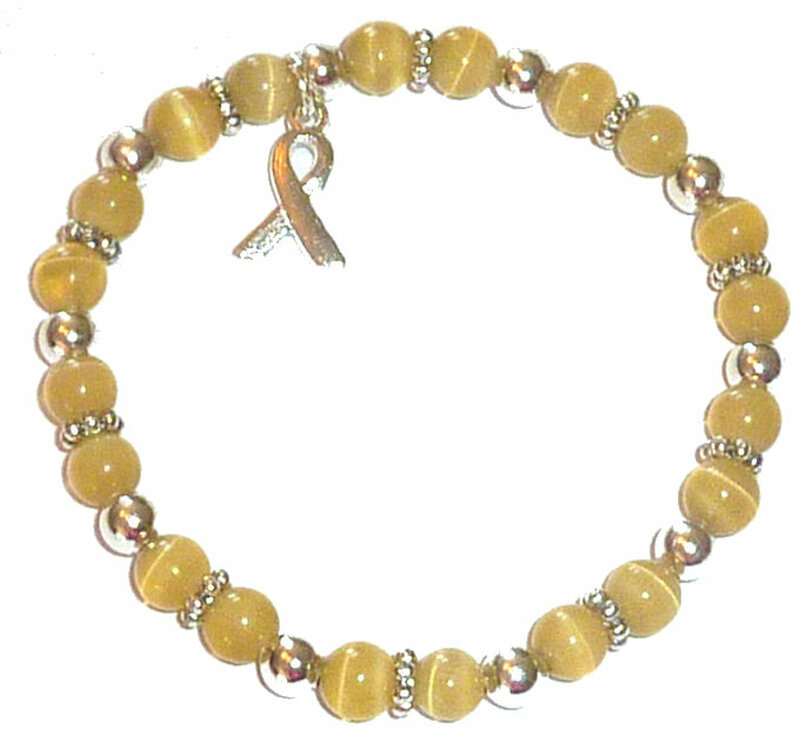 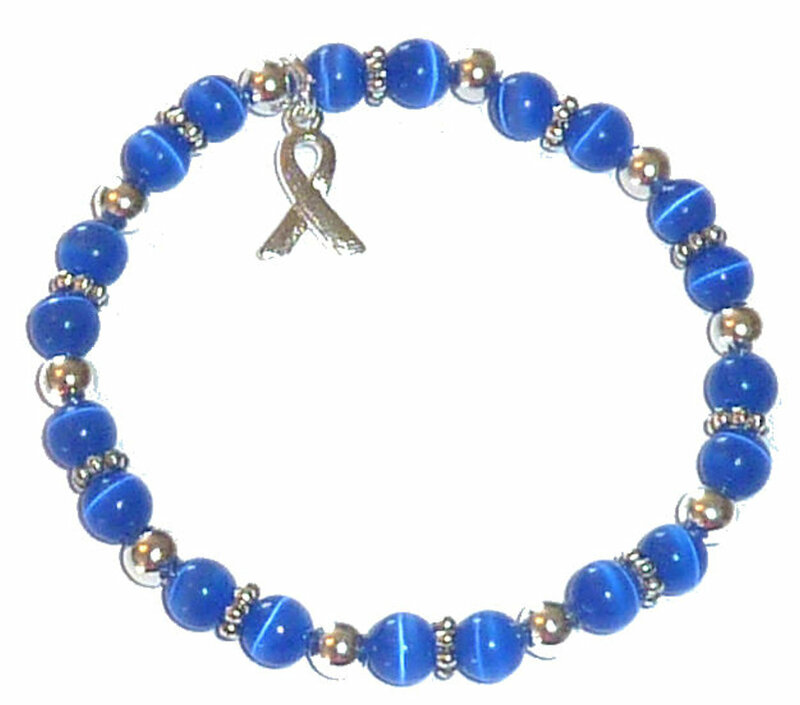 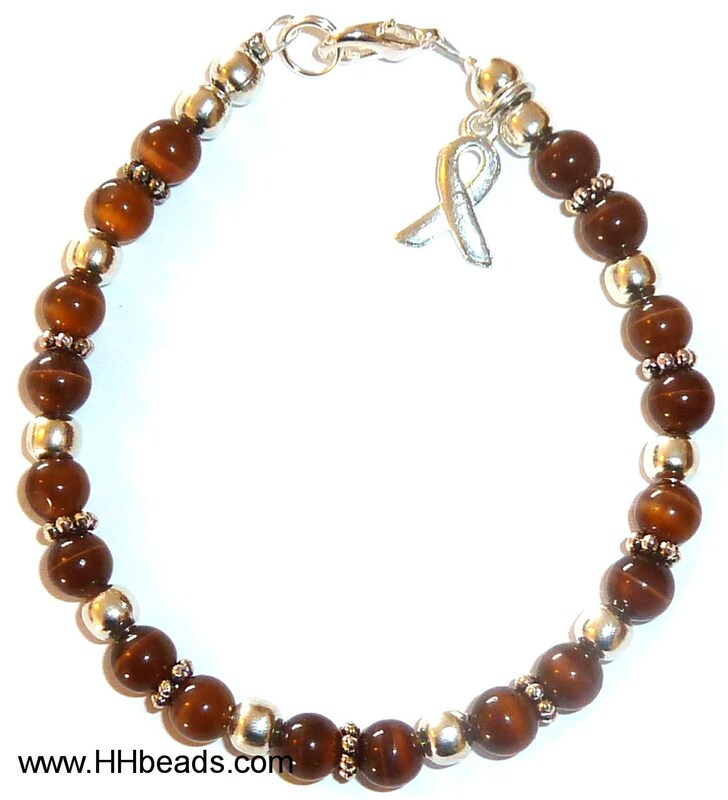 A portion of each sale in this catagory is donated to the fight against cancer. 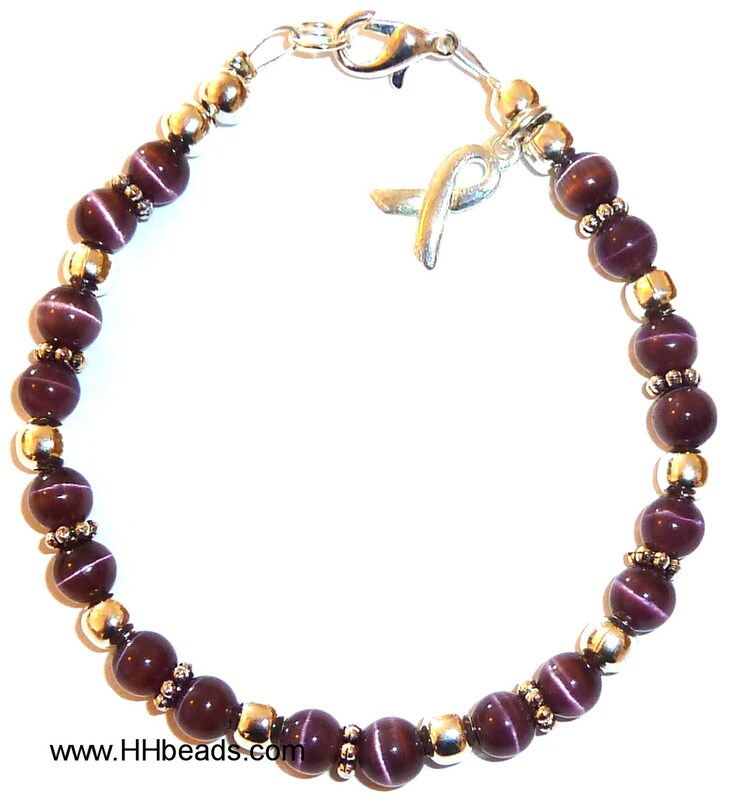 Stretch cord Bracelets vs. Wire Bracelets The main advantage to a wire bracelet is its strength. 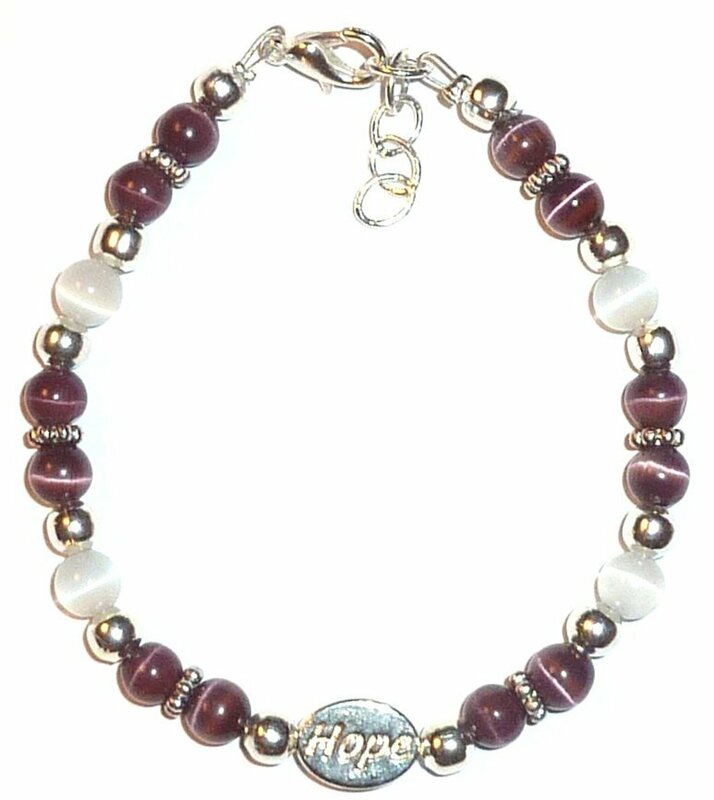 A stretch cord bracelet might stretch out or even have the possiblity of breaking if pulled too hard. 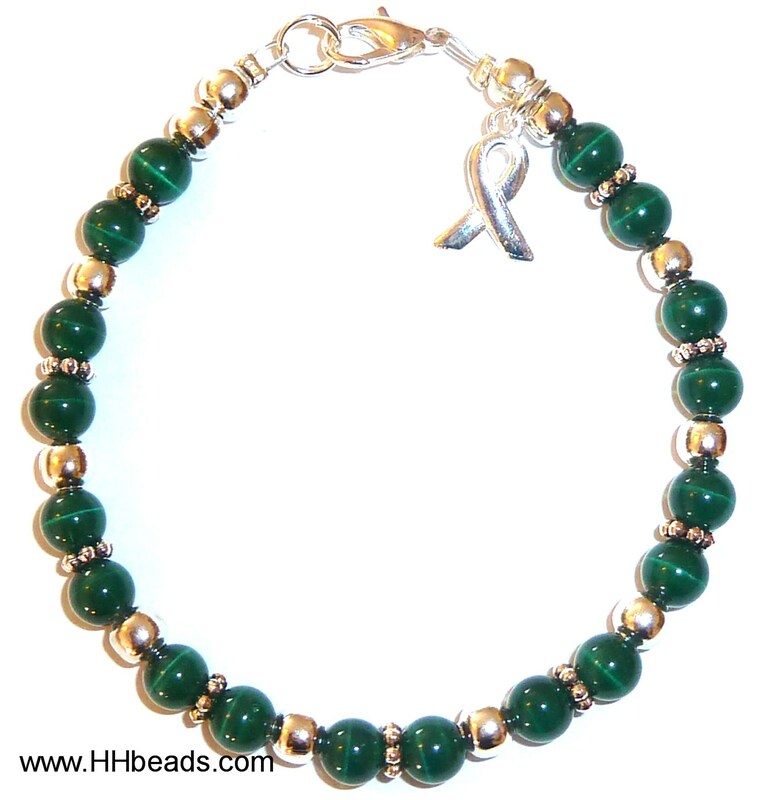 A wire bracelet is very strong, and looks more sophisticated than a stretch cord bracelet. 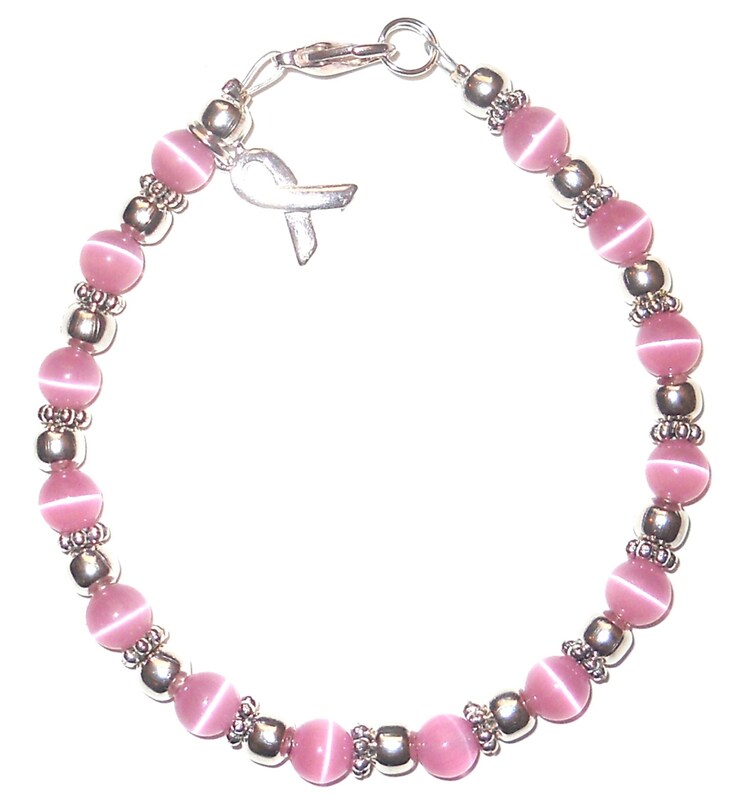 It also costs slightly less because it takes less time to make. . For every 100 Bracelets you order(premade, prepacked bracelets ) you will also recieve 10 free cancer awareness bracelets! 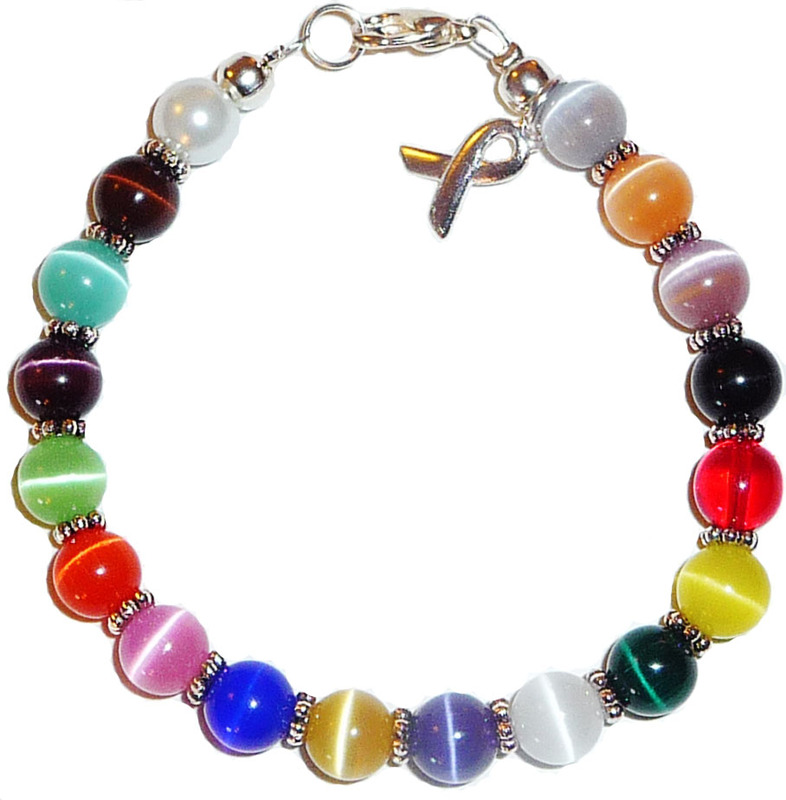 All kinds and colors can be combined to reach the 100 total. 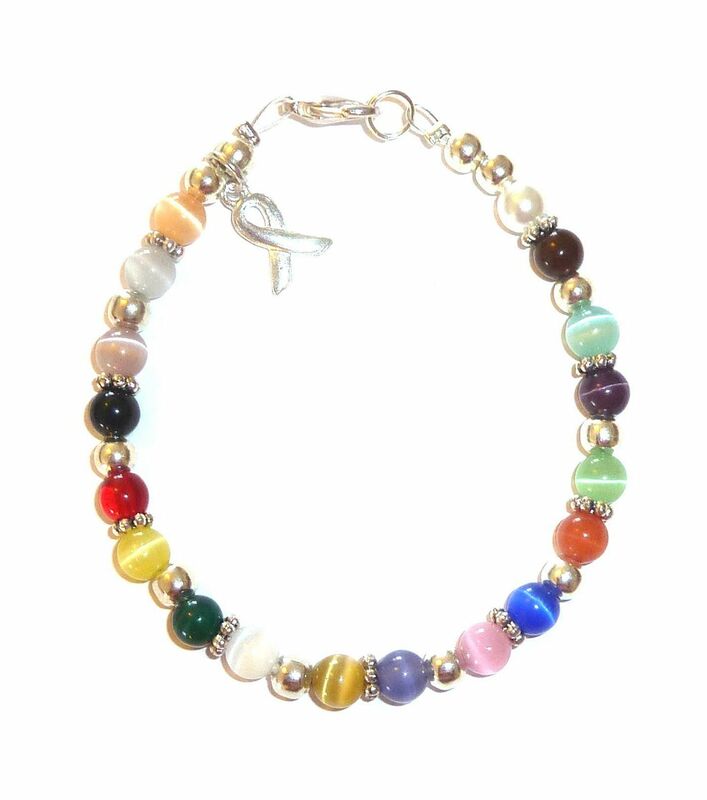 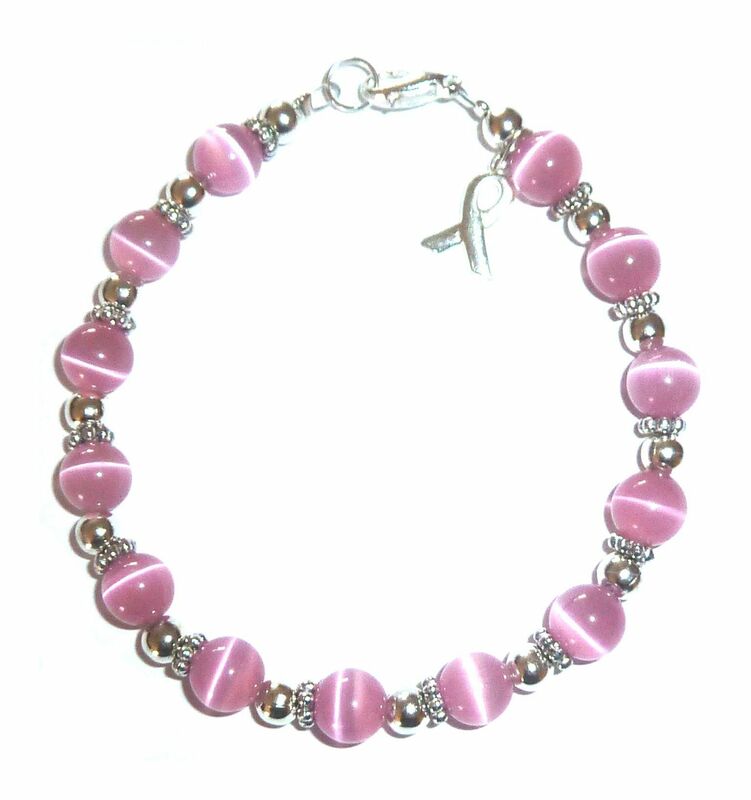 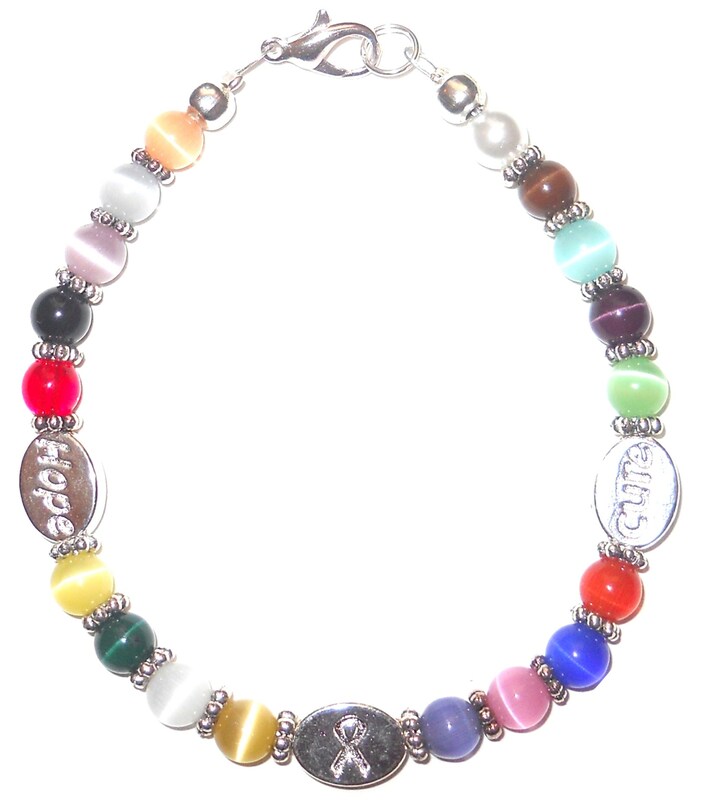 You will recieve our 6mm multi bracelet (our best seller) or you can request which kind you would like to receive for your free bracelets in the comments section of your order.